Jimmy Smith, owner of West London Wine School, began his career in the wine industry as an educator with First Quench Retailing and set up West London Wine School in 2009. He shares with us how he started his teaching career, his philosophy on wine education and his reaction to winning the 2018 WSET Wine Educator of the Year award (sponsored by Riedel). What factors shaped your decision to take up teaching? When I started hosting tastings for the Wine Rack franchise at the beginning of my career, I was told that I was a very engaging educator which gave me the desire to pursue this role. I quickly became a tutor for Wine Rack and within two years was promoted to Head of Education. In this role, I helped to develop the award-winning Wine Rack Wine School. 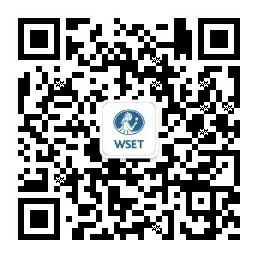 Taking the WSET Diploma cemented my desire to teach. It gave me greater confidence to deliver courses at a higher level, and a thirst to learn more to share with our students. What was your initial vision for West London Wine School? When establishing the school nearly ten years ago, I wanted to offer wine tasting courses that were accessible for everyone interested in the wonderful world of wine. Having developed courses for Wine Rack Wine School, I began to understand how to communicate wine knowledge and tasting appreciation in an informative and informal way. I therefore developed a programme of introductory courses and tastings at West London Wine School that were very accessible and easy to understand. These courses have established a strong foundation for our students’ progression in wine education, providing a stepping stone to our portfolio of WSET courses. How would you sum up West London Wine School’s teaching philosophy? Our entire business is founded on the principle of providing the best possible wine tastings and courses which are welcoming and accessible for everyone. We aim to support each student’s wine education journey – whether they are just starting out or a seasoned professional – and to foster a higher appreciation of wine, and now beer, sake and spirits, in a fun and informative way. Our teaching contingent are all passionate and knowledgeable, mostly WSET Diploma graduates with educator qualifications and additional non-WSET qualifications such as from the Wine Scholar Guild. I am extremely proud that West London Wine School tutors all possess the ability to communicate wine in a factual but friendly way. We aim to support each student’s wine education journey – whether they are just starting out or a seasoned professional – and to foster a higher appreciation of wine, and now beer, sake and spirits, in a fun and informative way. How has your customer base changed over the last 10 years? Our customer base has always been very non-trade dominant as many of our students first attend the school for non-accredited introductory wine courses and tastings. Thousands of students pass through the school every year and many get ‘bitten by the wine bug’ and come back for more and more. We have experienced double-digit growth every year and our customer base has expanded at the same time. We opened our second business, Streatham Wine House, a funky wine bar in South London, three years ago and this has helped to grow our trade base. We work closely with a number of trade suppliers at both West London Wine School & Streatham Wine House, offering them a great educational portfolio that includes the gold-standard WSET. What difference will winning the WSET Educator of the Year make to you and the school? Being awarded the much-coveted WSET Educator of the Year award from the world’s leading wine education organisation will firmly cement our position as one of the leading wine education facilities in the world. We have a first-class list of customer reviews, but it will be great to now have the professional ‘stamp of approval’ to add to these. Personally, for me it is a milestone achievement on my vinous journey teaching the world of wine. I am extremely proud to win such an accolade from an organisation I respect and have enjoyed working with over the past 15 years. We hope that our award will help to attract more eager wine enthusiasts to our award-winning wine school so they can experience our passion for wine education. It’s the school’s 10th anniversary this year – how will you be celebrating?